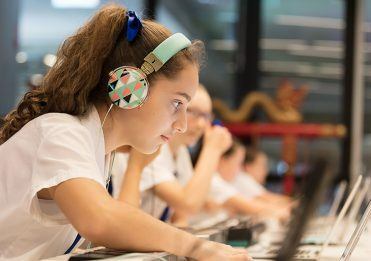 Brisbane Girls Grammar School’s Bring Your Own Device (BYOD) Program allows students to select and use their own computing device in all classes. Students can configure their device to meet their personal likes and individual learning style, rather than working with a device that has been prescribed for them. 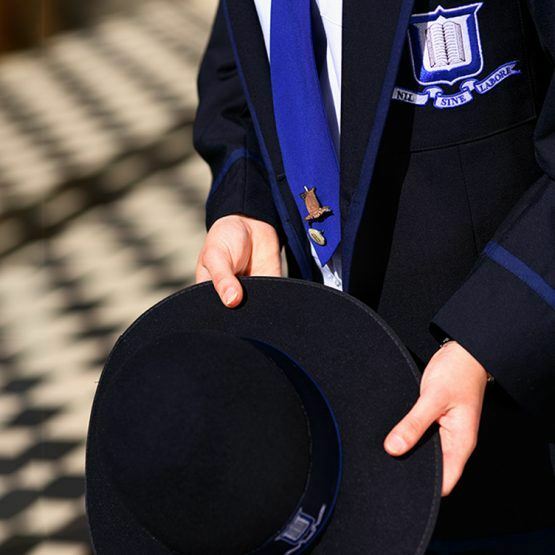 The program forms part of the School’s overall strategy to personalise the curriculum and learning for students. Students can move their learning seamlessly between home, school and alternative wireless environments, such as local libraries. From 2019, all Year 7 students will be required to own a device that supports a stylus or has the facility to use a stylus/touch screen input. ‘Digital inking’, the use of a stylus or pen, allows numbers, symbols, diagrams, drawings and other markings to be captured digitally. Recent studies support using a stylus device in the educational context. Dean (2014) explains the ability to mix digital ink, images and text means that products such as formulas in Mathematics or the drawing of diagrams or annotation of images imported into text in Biology, can be quickly undertaken. Mantgem (2008) notes students and teachers alike can write, draw and sketch with freedom, enabling students to ‘tap directly into their creative brainstorming thought processes’. The School’s current BYOD Specifications outline the minimum specifications required for BYOD devices. The School requires all Year 7 2019 students to own a device that supports a stylus or has the facility to use a stylus/touch screen input. Students can use any computing device that is consistent with School specifications. Parents can purchase a device that meets the minimum specification requirements from a store of their choice. Alternatively, parents may purchase a device through BES IT. BES offers parents educational pricing and three-year warranties that include on-site (at School) warranty repairs organised by the School’s IT Services team. To validate a purchase, please enter your daughter’s student number (current students) or name (enrolled students). All orders will be delivered to the School, so please ensure the accuracy of the student number that you enter during the ordering process. Please note that purchasing a device through the BES portal is not mandatory, nor are parents required to purchase a new computer if their daughter already has a suitable device. What type of technology should my daughter use? Girls should use a device that is consistent with our recommended specifications. These are based around laptop or notebook-style computing devices. For many girls, it means that they can use their current laptop at School. Does it need to be a particular brand of device? Girls can use Windows devices or an Apple product, whatever suits the way they like to work. Can my daughter bring her iPad or tablet to school? No. Girls should bring devices with mechanical keyboards that can support traditional and educational software packages (such as Microsoft Office, Adobe Creative Cloud). Operating systems ineligible for the BYOD Program include Windows RT, Windows S and iPad Pro and iOS. While iPads and tablets are great for consuming information, they have limitations in creating and manipulating it. Laptop or notebook-style devices will provide students with the greatest benefits in supporting their learning. While the Surface RT from Microsoft has the ability to attach to a mechanical keyboard, it is not able to run traditional software packages (such as the Adobe Creative Cloud). Surface RTs are great for consuming information, but they are not able to run software other than Microsoft Office or software available via the Microsoft store. The Surface Pro will, however, fit within the recommended specifications and give students the greatest benefits in supporting their learning. Is there an easy way to acquire a new laptop? To support parents who wish to purchase a new computing device for their daughter, Brisbane Girls Grammar School has brokered an exclusive agreement with BES, who has had extensive experience supplying the education industry for more than 20 years. How do the girls charge their computers? Girls are encouraged to bring their laptops and notebooks to School fully charged. On a full charge, it would be unusual for a laptop/notebook to require charging during a day of normal use. If necessary, girls can charge their devices using secure charging stations available throughout the School. Why do the girls not all use the same type of computer? The School considers technology as a means of creating, manipulating and exchanging the information that helps girls learn. Technological change has meant that the type of device, the brand, size or colour are far less important than the quality and type of resources that are accessed through them. Girls choosing what they want to use gives them ownership over how they learn: it personalises the experience and increases their engagement. One size, in this case, does not fit all. What software do I need to provide for my daughter? Students are provided with a registration key allowing them to download Microsoft Office to their own computers at no cost. Specialist applications will be provided remotely to the girls via the Internet, or in our specialist computer labs. Software does not need to be provided by parents. How do the girls access the Internet while at school? Brisbane Girls Grammar School has a high-quality wireless network, covering our buildings and open spaces, allowing the girls to use their mobile technology anywhere on our campus. How will my daughter be using her computer in the classroom? Technology is a tool used in the day-to-day learning of our students, and teachers in different classes will use it in different ways. Students will not be learning in a paperless or wholly online environment, they will be using technology in classes to support the best possible approaches to rigorous teaching and learning. How do the girls keep their technology safe? Taking responsibility for their own and others’ possessions has always been a key part of our Ethics and Student Care Programs. All girls have secure individual lockers to store their possessions on campus. What will the girls do if their computers need servicing? The School’s IT Service Desk can help the girls solve minor issues or problems with software applications. We encourage everyone to ensure that their laptops or notebooks are supported by good quality warranties to deal with hardware failures. There is a loan scheme to provide girls with a notebook computer while their own device is being repaired. How does the School ensure the girls’ safety when using the Internet at school? Our wireless access is filtered by the School, blocking access to social media and those parts of the Internet that the School does not consider to be appropriate for our classrooms. Why do the girls still have a textbook list? The School has developed quality electronic resources and students are also provided with access to e-texts. However, the girls will still use textbooks in some subjects. Some publishers do not yet offer their books in an electronic format and we think it is important to give all girls access to the best resources to support their learning, not just the most convenient ones. Why do the girls still have to buy traditional stationery to use in class? Having a laptop or notebook in class won’t make Brisbane Girls Grammar School a paperless environment. Many aspects of learning best occur through girls experimenting and exploring ideas with a pen and paper, or manipulating things in traditional ways. When the best way to engage with ideas or concepts is through technology, we will use it. 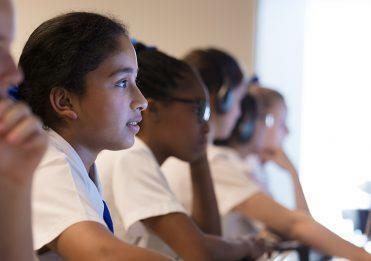 How do the girls access resources for their learning with their own computers? Our GrammarNet Learning Management System (known as Moodle) is the place for all the things that support girls’ work at School. It provides materials for each individual class to download, places to submit work and interact with other students or teachers. It works the same from home as it does when the girls are at School. For any further enquiries, please email byod@bggs.qld.edu.au.